In this spotlight, we review the kinds of equipment that is found within a fire tanker. While we’ve all seen fire tankers, most of us have never seen what all is inside. Now is the time to find out! READ MORE: How Does a Fire Tanker Truck Work? The pieces of equipment that keep a fire tanker running are those that attach and the tools that help it run smoothly. Some of the most important tools are those that help fight fires in the best, most efficient way. The most recognizable of these is the ladder. There are two types of ladders, a roof ladder and an extendable ladder. These two ladders have different uses, depending on situation. However, there are some other tools that help firefighters as well! Water does not always need to come from a fire hydrant. In fact, in rural situations, this may not be the most feasible option for firefighting. In this case, the water needs to come from a lake, stream, or pond. This water has debris, and this needs strained before being suctioned into the truck. There is a barrel strainer which strains that which firefighters do not want disrupting equipment. There are also multiple different nozzles that help with different problems that firefighters may encounter. These nozzles are attached to the hose and each have a different level of stream. For example, one nozzle has a solid stream of water whereas another has a strong punch that goes through the wall or other areas. There’s also the foam tender nozzle which mixes together foam and water. Within the fire tanker, there are also many different tools for each different situation that is encountered each new day on the job. One of these is the jaws of life. While this item is not on every fire tanker, there is a strong possibility it is. This equipment is used to help extract people from situations they cannot get out of with just human strength. These are in cars or buildings. Another item you might see that works in conjunction with these is medical equipment. Most all fire tankers will have some medical equipment because they encounter seriously hurt people who need immediate help. This could include an AED and basic kit to deal with trauma right away before paramedics and hospital personnel can see the victim. Other interesting items that are on a fire tanker are spanner wrenches and exhaust fans. Spanner wrenches are used after hydrant wrenches. Hydrant wrenches open and close the fire hydrant. Spanner wrenches tighten the connection between the hose and the hydrant. They are useful because there is a high volume of water coming in and out. This means high pressure. You would never want a situation where the hose comes loose and causes even more problems. Exhaust fans are used to direct smoke out of a burning home or building. These fans take the smoky air away from the home. This makes it easier for the firefighters to see what they are doing. It’s also way easier for them to breathe and the people who may be inside to breathe. Looking to Buy a Fire tanker or Used Fire Tanker? Osco Can Help! At Osco Tank & Truck Sales, we offer fire tankers and used fire tankers for sale. 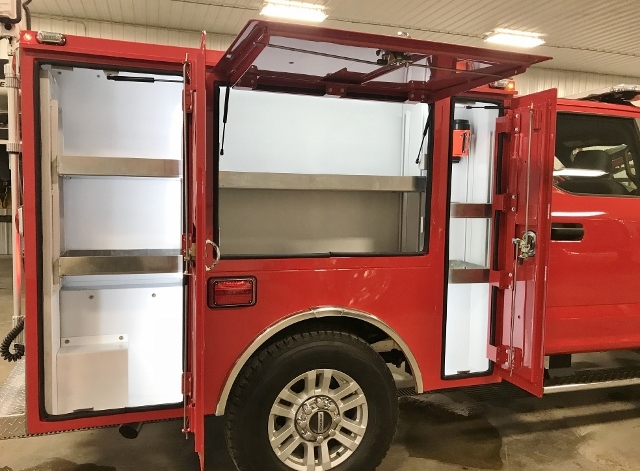 Each of our fire tankers are custom made with your specifications in mind, and we will work with you to help you find the options that will work best for your department and within your budget. We can work with a new frame or a used frame, and we have tons of options to choose from. 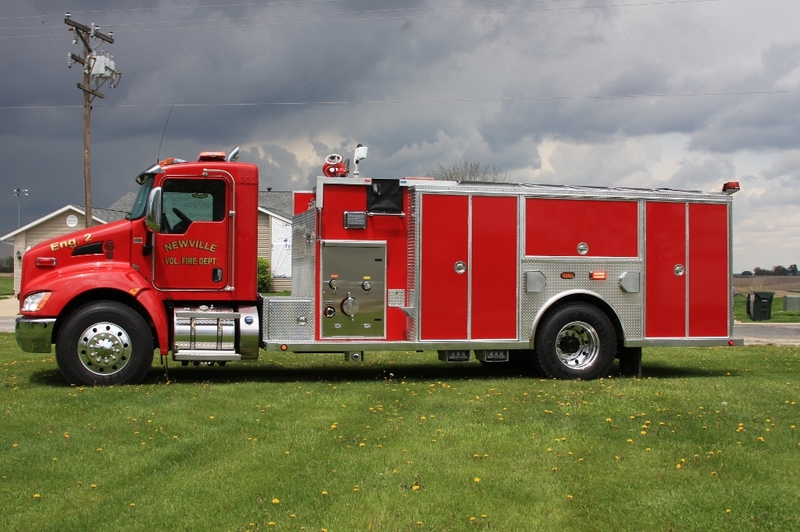 Give us a call and get started on your custom fire tanker today!